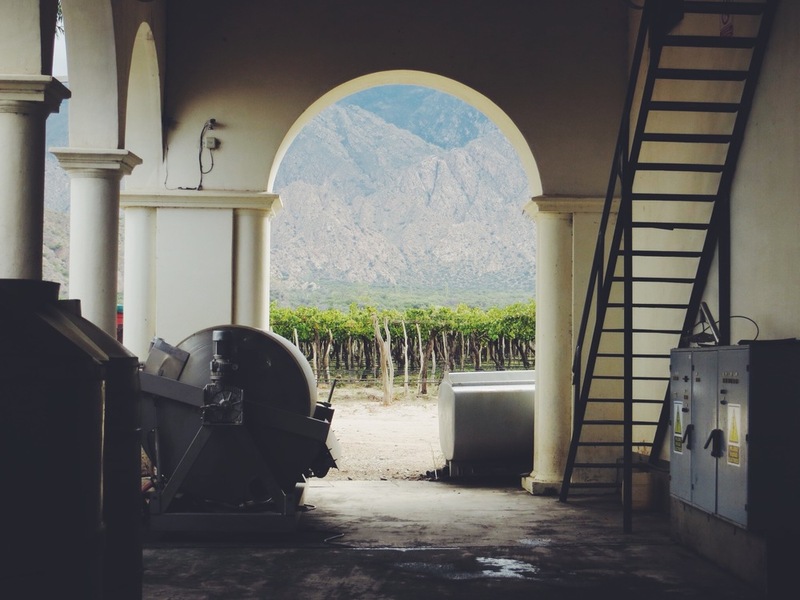 Due to the huge distance from Santiago to Salta, we decided to stop off at Mendoza to sample the best wines in the region. 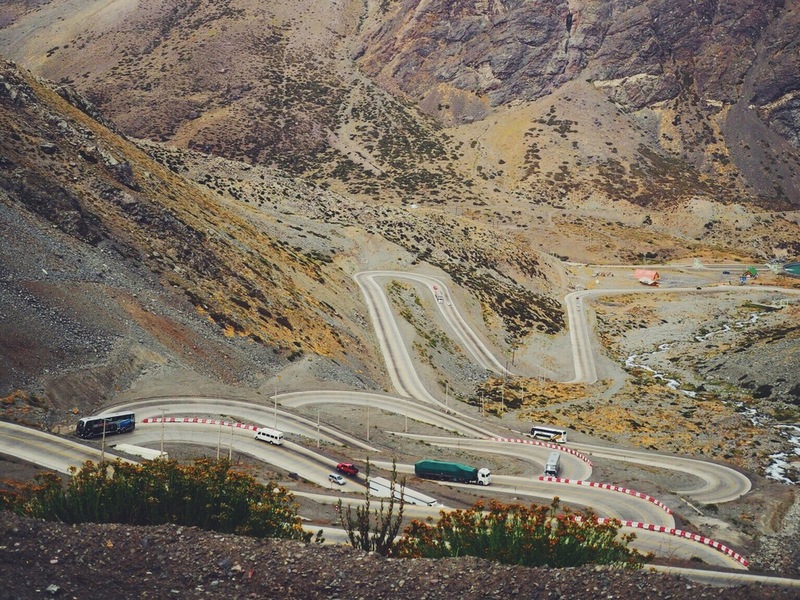 The stop off felt immediately worth while due the incredible bus journey through the Andes to get to Mendoza. With roads that wound through the dramatic and constantly changing scenery, it felt like we were watching a movie! The border crossing into Argentina took quite a while, but it didn't detract from the beautiful scenery. 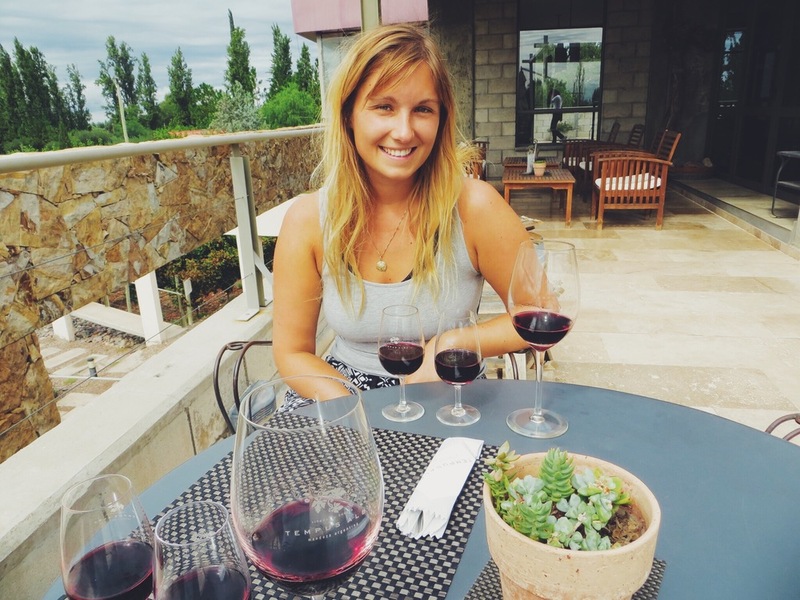 We decided to spend a day hiring bikes to explore the Maipú region of Mendoza, and visited some great vineyards including Tempus Alba and Trapiche where we got to taste world class reds. 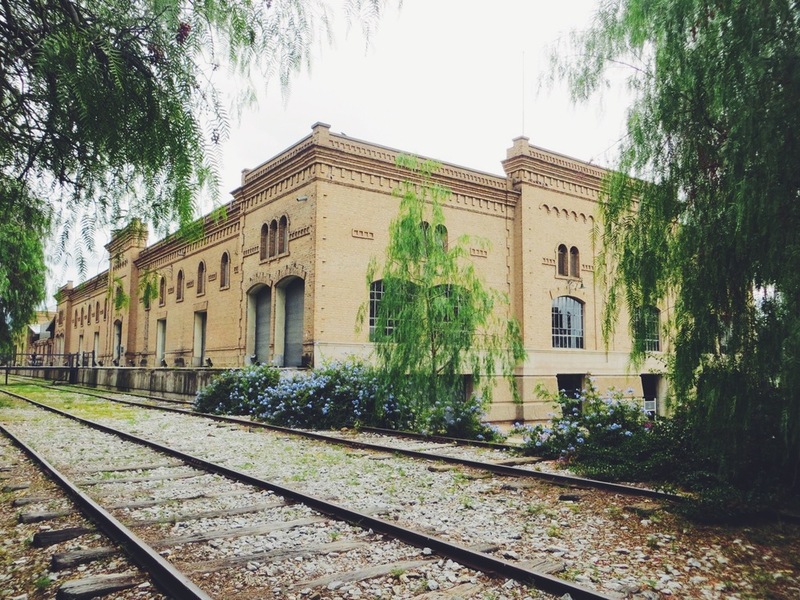 Maipú itself, however, turned out to be a bit of an industrial estate, and wasn't particularly safe to cycle around. 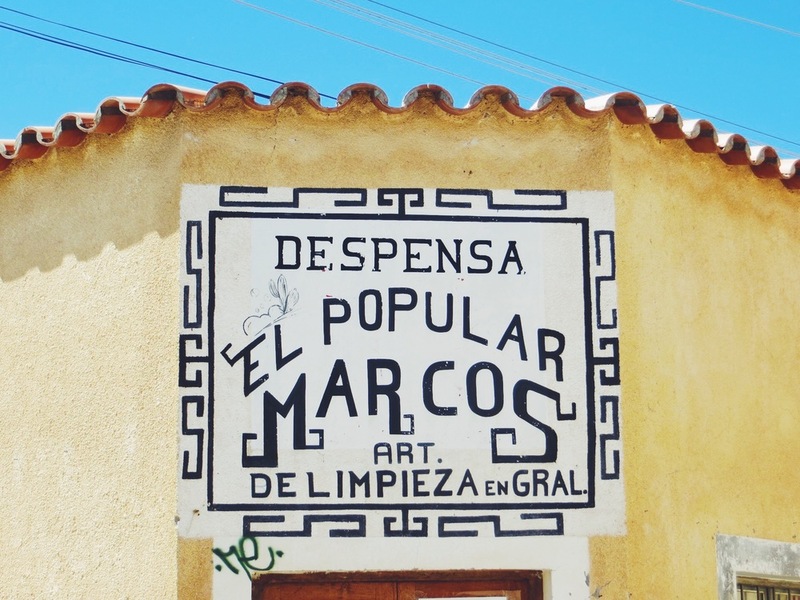 We were pretty underwhelmed by Mendoza overall and without much charm or sights we were glad to move on to the more interesting regions further north. After a 17 hour night bus ride from Mendoza we arrived in Salta, northern Argentinian. 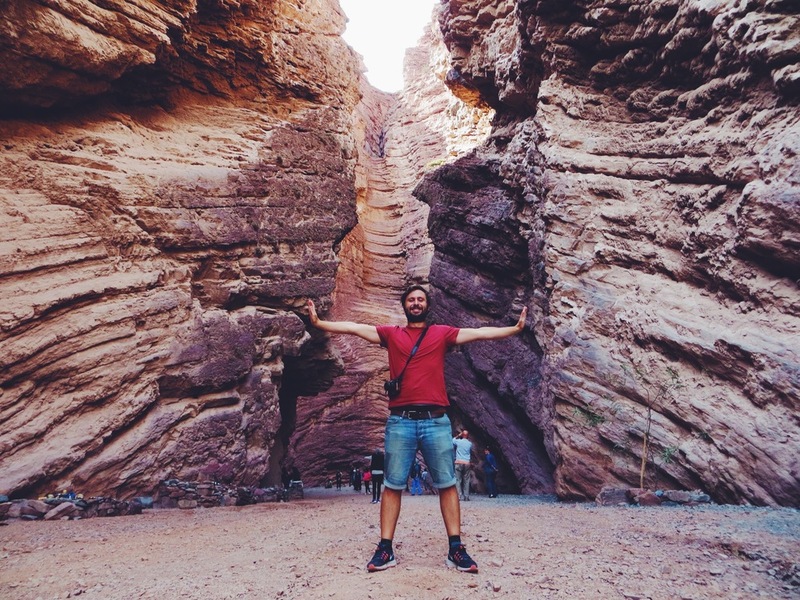 We wanted to use Salta as a launch pad in order to visit the many interesting places around the area including Cafayate, Purmamarca and Humahuaca, all which boast breathtaking scenery and a more traditional local culture. We decided to spend a day exploring the centre of Salta before booking 3 day tours to the key sights with a local company. 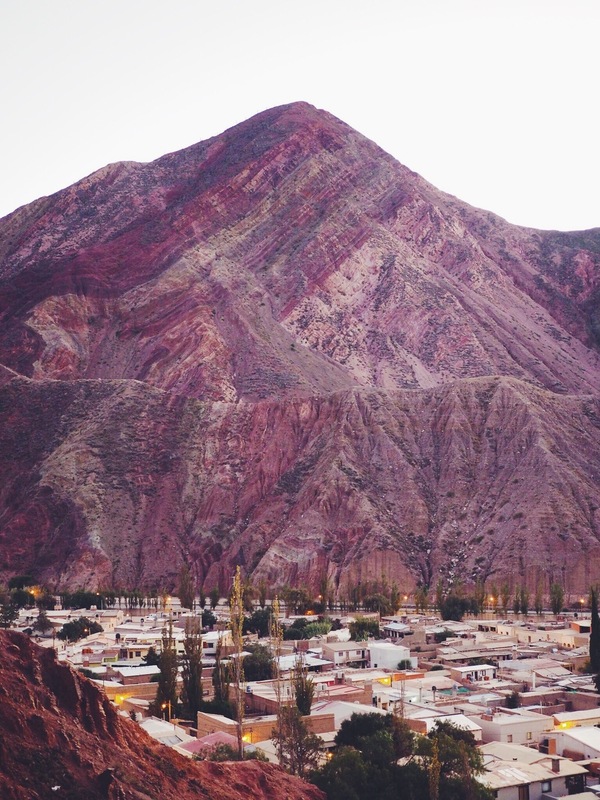 With its colonial architecture and peaceful vibe we immediately warmed to the city of Salta. The main Plaza 9 de Julio was surrounded by beautiful 18th and 19th century buildings including the Cathedral de la Virgen del Milagro and the Museo de Arqueologia de Alta Montana. It was a lovely place to relax and soak up the atmosphere after a long journey. We also visited the amazing red and gold Iglesia San Francisco, with exterior equally impressive as it's exterior. We then walked a few blocks, passing some interesting street art (and a vintage car show!) to the small but charming craft market to pick up a few things we needed. On our walk back to the plaza we stumbled across a beautifully designed boutique shop called FED that was selling wonderfully quirky hand-made interior bits and pieces. We then headed back to the square to visit the Museo de Arqueología de Alta Montaña, or MAAM (Museum of High Altitude Archaeology). Luckily the museum was open until 9pm so after a quick empanada at the bakery (Salta boasts the best) we arrived at the archaeological museum, home to the Children of Llullaillaco, arguably the best preserved mummies of all time. 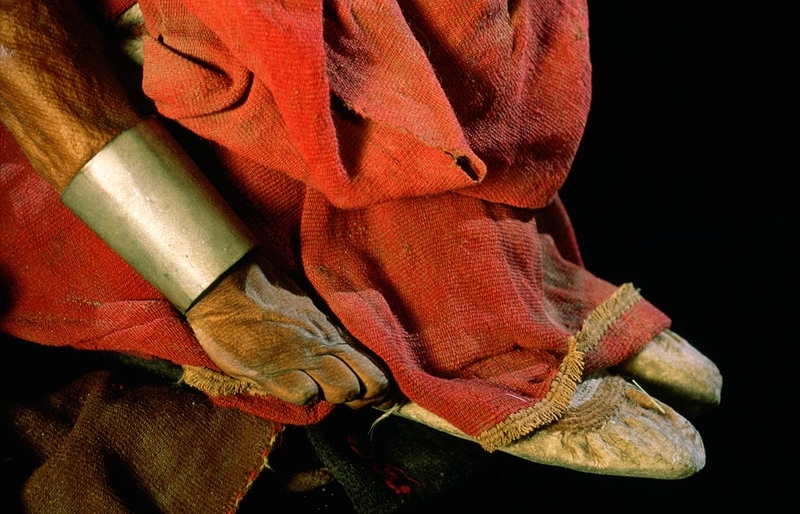 The collections of inca artefacts that had been found on the top of the Llullaillaco volcano were fascinating, and due to cold temperatures and ice had all been perfectly persevered. We learnt about the ancient rituals of child sacrifices in the mountains, ceremonies that took place to praise gods or when an Inka ruler died. On display was El Niño, the mummy of a 8-year-old boy with perfectly preserved clothing, hair and skin in a foetal like position. We weren't allowed to take photos, but it was totally surreal to see someone who had been dead for 500 years so intact. Our first tour from Salta was to the town of Cafayate, 3 hours south of the city with various points of interest along on the way. 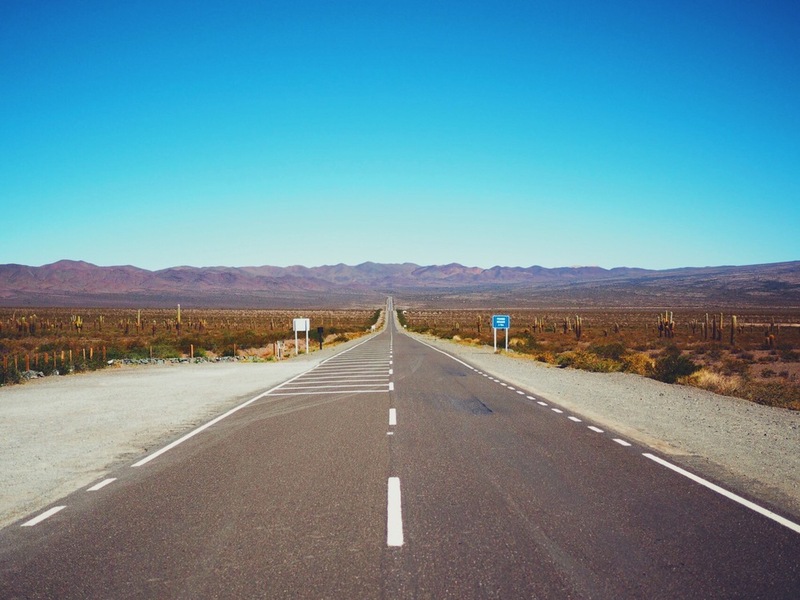 The drive is know to be one of the most beautiful in South America, with stunning mountains, giant valleys and interesting rock formations that make up the Quebrada de las Conchas. Our first stop was the ‘Devils Throat’, a tall, narrow passageway carved into a cliff face. Locals played traditional Inca music on flutes as we walked through the terracotta coloured rock that towered around us. The next stop just around the corner was the ‘Amphitheatre’, a huge natural arena of rock that surrounded you on all sides. Inside there was a busker playing ‘Wish You Were Here’ by Pink Floyd, and the echoing acoustics were truly magical. The wall of rock was so big it was difficult to get a full photo, and without a person in the shot the scale was totally lost. After driving for a few more kilometres we stopped at a lookout over the Valles Calchaquíes. We were given 20 minutes at the viewpoint to get some pictures of the incredible view of the dramatic orange and green mountains. We were driven past other interesting and appropriately named rock formations including the El Titanic, the Nail and China Town. For lunch, we stopped in the small town of Cafayate, which was a pretty place although the restaurant chosen by the tour guide wasn’t the best (we learnt that choosing our own was a much better option when on a tour). The food was average but we got to try the local dish Locro and listen to some traditional live music. We then had a walk around the picturesque town and handicraft stalls before getting back on the bus. After lunch we continued to the Finca Quara vineyard where we got to sample local wines and tour the factory. Unfortunately the tour was only in Spanish, but luckily we had an english-speaking Argentinean on our tour who helped translate most of the information. We sampled some amazing reds including Malbec and Cabinet Sauvignon, and even bought a bottle for our evening meal. The prices were ridiculously cheap, around £1.60 per bottle! 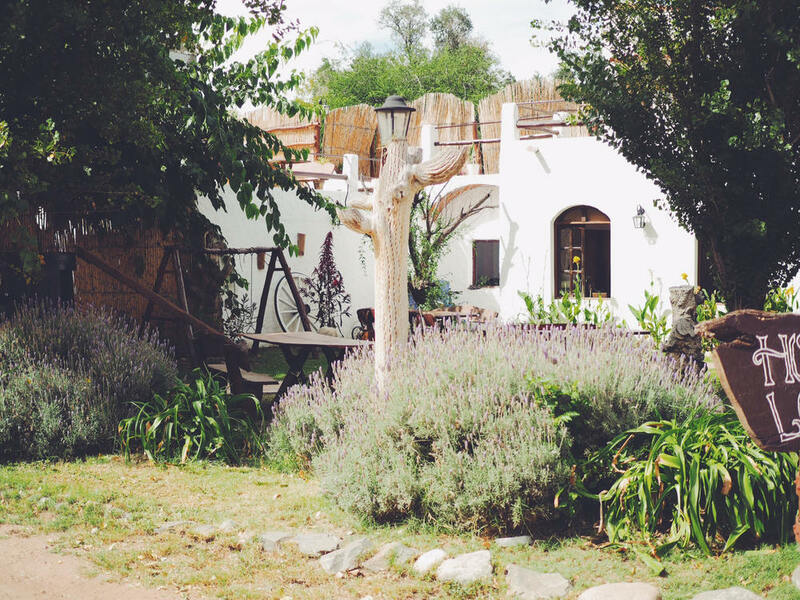 Cafayate was how we envisioned the wine regions of Argentina to be: a charming town nestled amongst vineyards and beautiful countryside. We could easily have stayed a night! Our second day tour was a trip to the small town of Cachi, a 3 hour drive west of Salta. The route reaches altitudes over 5,000 metres, and we could start to feel it as we climbed the hills in our small tour bus. 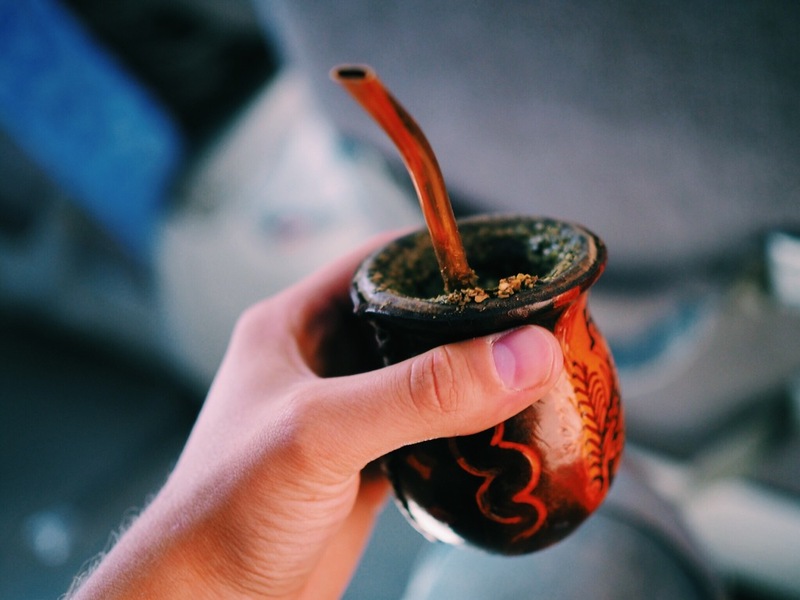 The locals on the bus kindly offered us some Mate, a bitter tea and tradition popular with Argentinians. We were also advised to take coca leaves to help with altitude sickness, and our tour guide showed us the technique of rolling up 10 leaves into a small bundle and keeping them inside your cheek for around half and hour. We weren't sure if they worked or not but they seemed to calm us down a bit, and it was interesting to try something that was so integral to South American culture. We wound high up into the giant green hills and stopped at the lookout where a small shack was selling Llama Salami! From there we continued to the small town of Cachi. There wasn’t too much to do in the town to be honest, and besides a small Inca artefcats exhibition we found the tour to be a little less interesting compared with our trip to Cafayate the day before. On the way in and out of the town we noticed large red fields where the local farmers were drying vast quantities of sweet red peppers. Unfortunately we didn’t get to stop and look as we were on a quite tight schedule, but it would have been interesting to see the fields up close. After leaving Cachi we set off to the final stop, the Los Cardones National Park. It was a huge expanse of land filled with giant cacti as far as the eye could see. We spend 20 minutes or so taking pictures and wandering around the desert landscape. The tour guide decided to play a trick on us and pretended to drive off, leaving us stranded with nothing but our cameras in the desert! We eventually saw the funny side once the bus stopped and the doors opened! Our third and final tour was to Humahuaca, but we wanted to use the tour to travel up towards our next stop, San Pedro de Atacama. The road to San Pedro passes through the small but beautiful town of Purmamarca, so we decided to stay there after our tour and catch the bus en route to northern Chile. 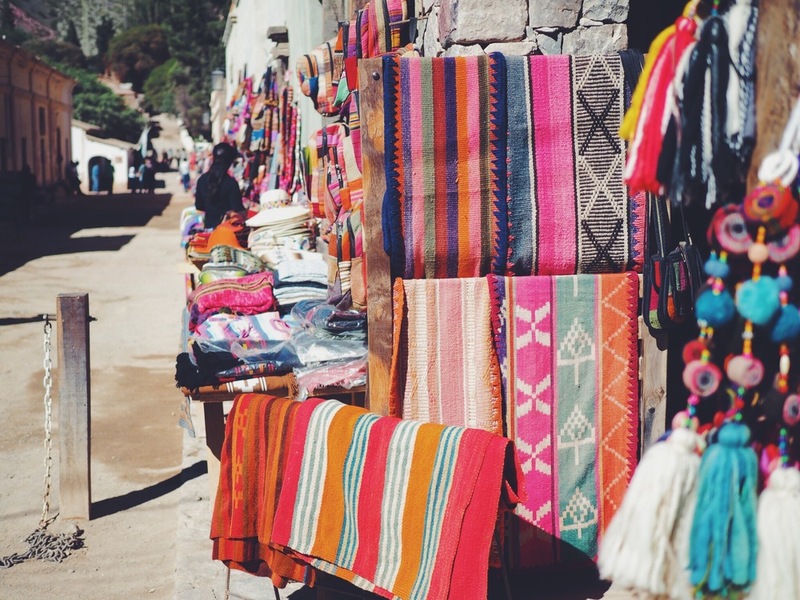 Due to a political protest, we didn’t stop at the city of Jujuy on our tour, so an hours drive later we stopped in Purmarmarca where were treated to a small but bustling town with locals selling colourful garments and a handful of decent restaurants. As we'd decided to stay in Purmamarca we popped into a recommended hostel and booked a nights stay before continuing north with our tour. Our lunch stop was in Humahuaca, another small city in Jujuy Province. 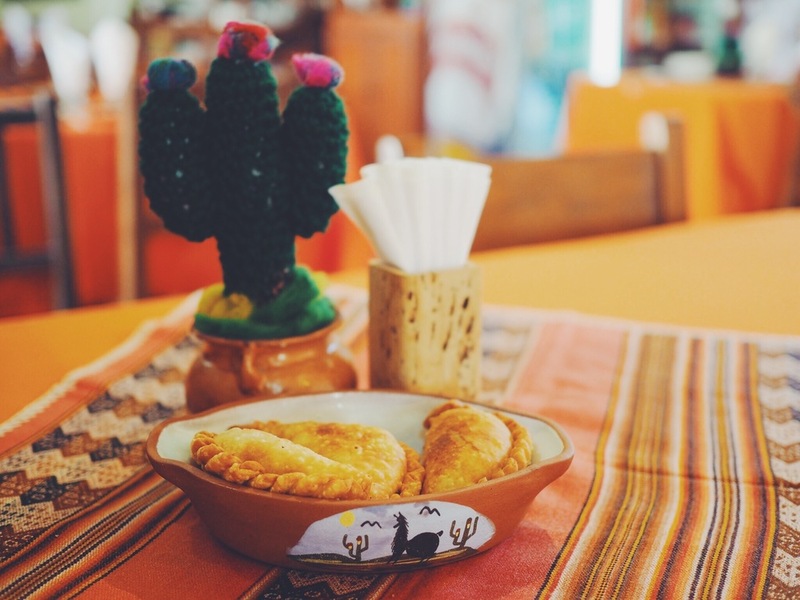 Having learnt from a couple of bad lunch experiences we decided to break from the group and head to a small restaurant specialising in empanadas. They had about 10 varieties, and we sampled a range of the local specialties which were both delicious and cheap. The town was very similar to Purmamarca, if not a bit bigger, and had some impressive steps surrounded by market stalls selling knitted goods and ceramics. After an hour were were summoned back to the bus, and by our request they dropped us back in Purmararca where we made our way to our very quiet hostel, El Viaje Algarrobo. 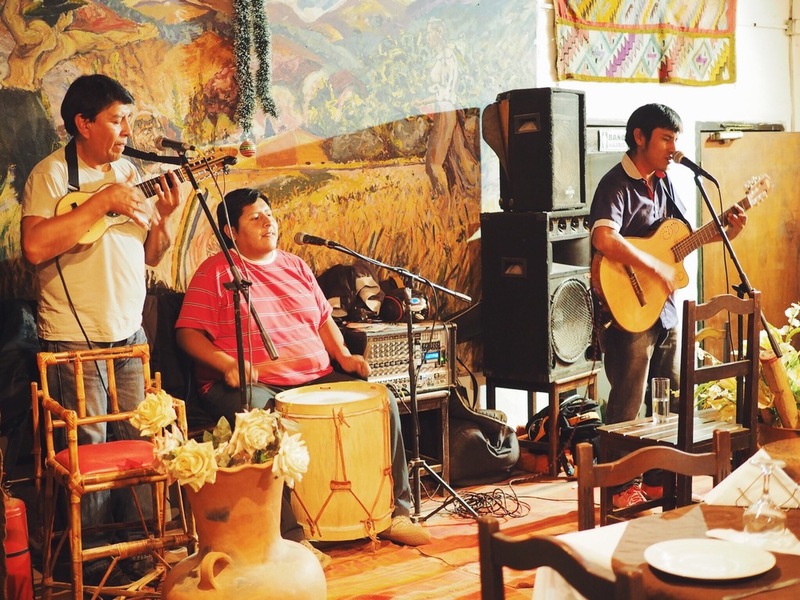 We spent that evening in a nearby restaurant called Tierra de Colores, listening to a brilliant local band over a steak dinner with cheap (but good) Argentinian wine. The following morning we woke up at 6am to see the sun rise over the Cerro de los Siete Colores (Hill of the Seven Colours) that puts Purmamarca on the map. We scrambled up the dark, rocky hillside to the viewpoint and waited for the sun to rise. As the light increased, the colours of the mountain got more intense, revealing the greens, reds and orange layers of minerals and metals that gives the mountain its name. The town was very peaceful and beautiful in the morning light, especially as there was nobody else around except a couple of gauchos on an early morning horse ride. Although our tours were a great way to see the surrounding sights of Jujuy, we felt they were a little rushed. Because of this we had missed a sight we were really anticipating: the 14 Coloured Mountain, or Serranias del Hornocal, about an hours drive north of Humahuaca. The only way to get to the mountain from Humahuaca is by tour van or jeep, meaning we had to get a bus back to Humahuaca first. After some negotiations with locals and a bit of luck bumping into people we’d previously met on our trip, we managed to get a spot on a jeep. We drove along a bumpy, dusty road until we reached about 5000 metres above sea level. Two of us had to sit in the back, which was definitely the more fun and picturesque option! On arrival we were met with a jaw-dropping view of the 14 coloured mountain. It was incredible, and definitely the most beautiful mountain we’d seen around the Jujuy province. We decided to walk another 10 minutes down hill to the ridge where you get the best view. Coming back up hill was definitely a struggle with the altitude, but well worth extra effort. After a good half an hour of taking photos and gazing in awe at the view we jumped back into the jeep and descended back towards Humahuaca, before getting a cab to Purmamarca. We really warmed to the city of Salta, and found it to be a perfect base to see the sights of the Jujuy region. It was also a treat to stay in a hostel for more than just one night, allowing us to focus on enjoying the surroundings without packing up our bags so frequently. Although a little rushed at times, the tours were a relatively economic option that allowed us to explore the surrounding mountains, viewpoints and towns that we may otherwise have missed. 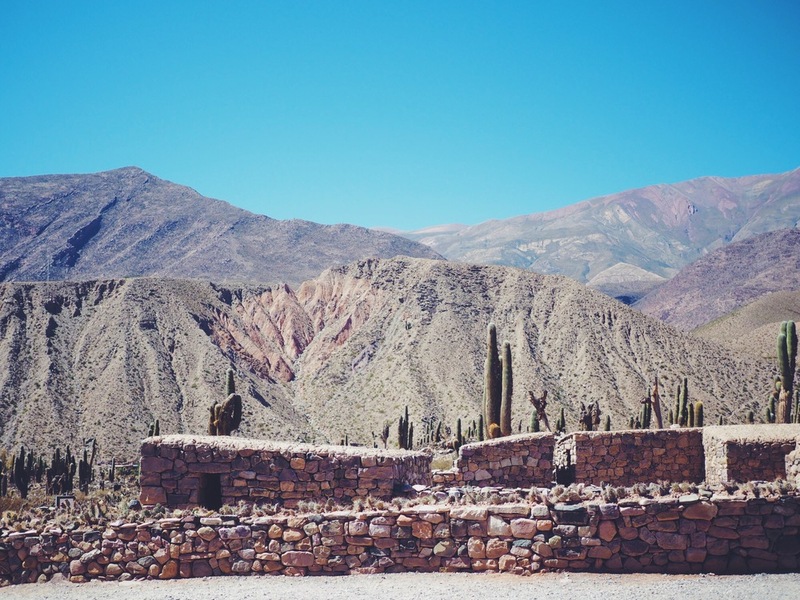 The colourful landscapes of Jujuy were spectacular to see, and accompanied by the peaceful towns, local traditions, food and clothing, we felt that we'd really started to experience a much more traditional way of Andean life. 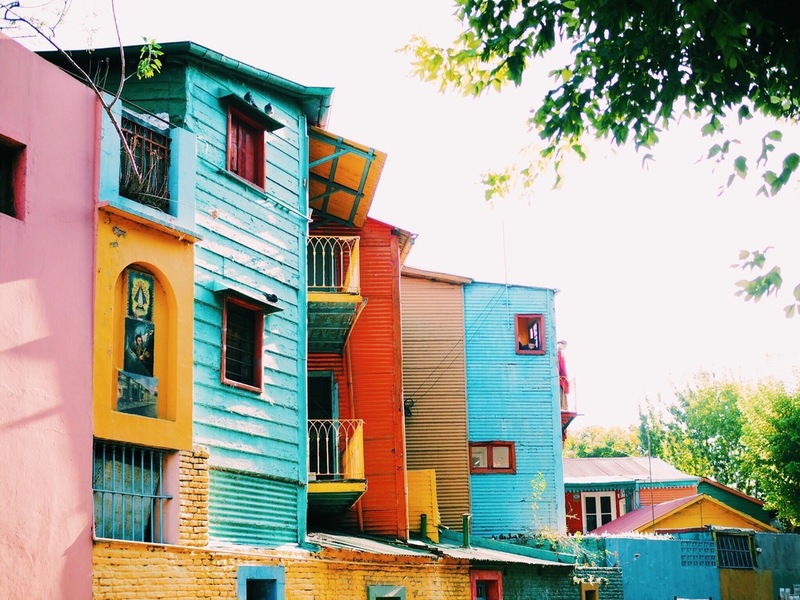 After 10 brilliant days in Buenos Aires we decided to take our first inland flight south, and within three hours of leaving the vibrant, bustling capital we landed amongst blue skies, snow-topped mountains and dazzling turquoise lakes. We had arrived in El Calefate, Patagonia! A short bus ride later we were dropped at our hostel America del Sur, sat high on a hill overlooking the small town. It was a great mix of contemporary architecture and rustic hostel living, and gave fantastic panoramic views of the Lago Argentino. The hostel staff were very helpful and got us booked up on our exciting trek for the following day. 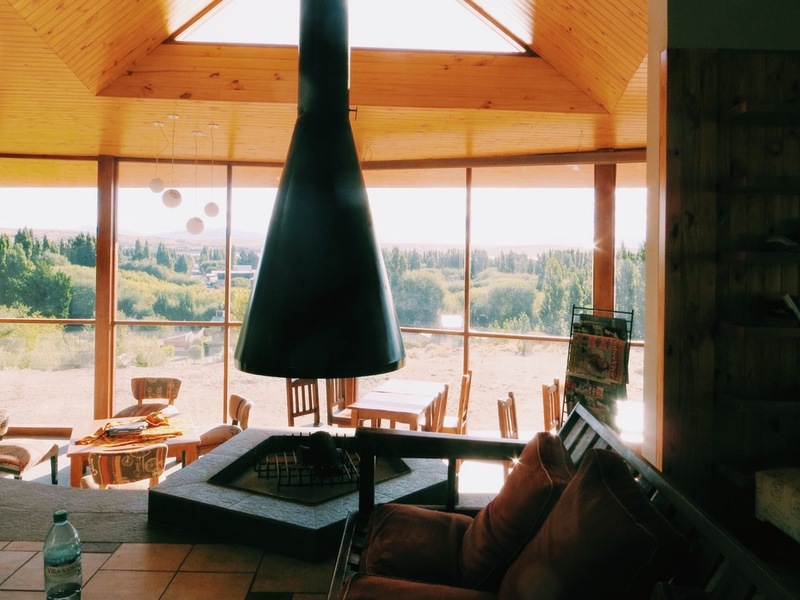 After a 2 hour bus ride through incredible Patagonian landscapes we were dropped at our first stop: the Balcony. We were given a few hours to walk around the various glacier viewing platforms, taking in the epic mass of ice from all angles. It was truly amazing; neither of us had ever seen anything like it before. At 5km wide and 70m high it's sheer size is astounding, and it's surroundings equally impressive - it was hard to get your head around the scale! Every so often large chunks of ice would break off and crash into the freezing water below, and for 20 minutes or so we patiently waited and listened to see if we could catch one before it hit the water. We had a quick packed lunch we'd previously prepared overlooking the amazing glacier. After returning to our coach, we could hardly believe that the best was yet to come. We boarded a catamaran and set off for a hike on the glacier itself. The approach was spectacular, and as Moreno grew in size so did our excitement! After getting off the catamaran we walked along boardwalk through a small stretch of woods and stopped at a row of wooden huts to prepare for our trek. After getting our crampons (spiked shoe attachments for grip) on our feet and a quick lesson in walking on ice we were off. Less than 5 minutes into the trek it felt like we'd entered another world. Huge mountains of white and mineral enriched blue ice towered around us as we snaked through the truly awesome landscape. It felt like we were on another planet! The trek was rounded off with a lovely touch of whisky on the rocks, where of course, the ice was chipped straight off the glacier in front of you - it tasted amazing! The trek had been one of our most expensive days on our travels, but one in which we both agreed had been an experience of a lifetime. It jumped right to the top of our list as the highlight of South America so far! 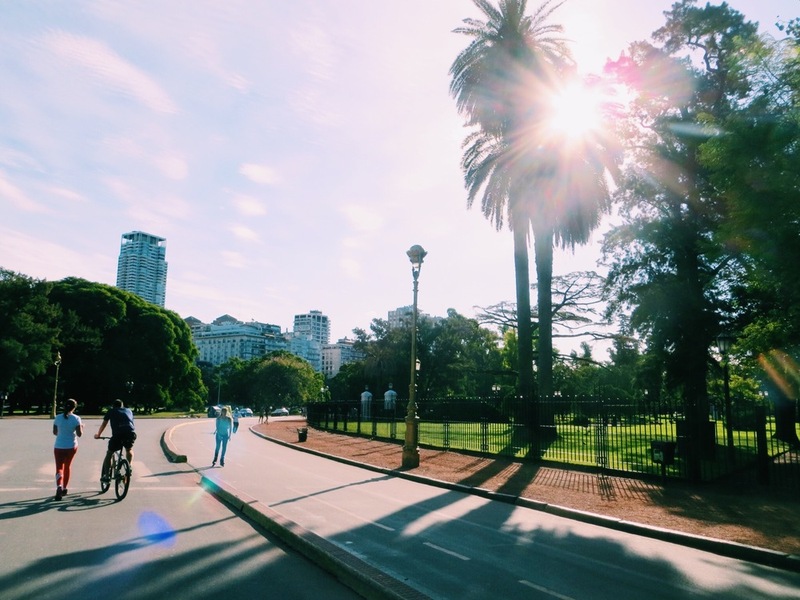 Buenos Aires was much talked about during our travels, so we were keen to find out what made everyone love the city so much first hand. After arriving from Colonia by ferry we made our way in a cab (BA yellow cabs are fast and cheap) to our apartment in Palermo. We had opted for an AirBNB apartment to give us a bit of space after staying in quite a few shared dorms. The apartment was great and came with everything we needed plus a balcony with a great view and even a rooftop pool! 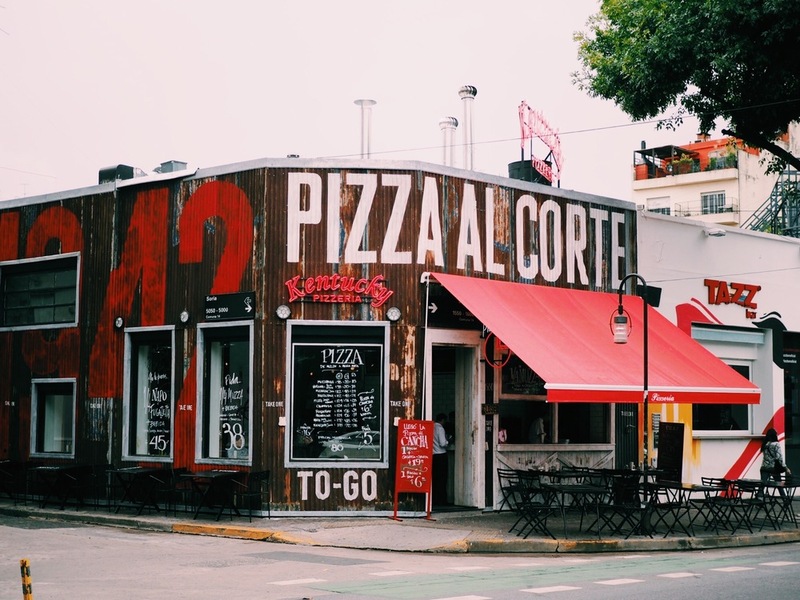 With 9 days dedicated to exploring Buenos Aires, it was the perfect launchpad for us to see the city we were so eager to visit. On our first day we headed straight to the centrally located Plaza de Mayo and took in the many impressive, politically important buildings including the Piramid de Mayo, Casa Rosada and the Metropolitan Cathedral. We then walked past the Obelisco, an iconic spike-shaped landmark, before ending up in a small square in front of the Teatro Colón for lunch where we befriended by a baby parrot! We ended the day with a meal at Las Cabras, a traditional Argentinian Parilla (Steak House). Wanting to try everything, we ordered the 'Completo', the must try dish. It arrived on a huge tray! The chorizo pan, chicken escalopes and steaks were really delicious, the intestines and blood sauce were definitely a required taste and the quantity of food was completely obscene! (we had to doggy bag it). We left feeling totally stuffed having definitely had the ‘Completo’ Argentinian meat experience! 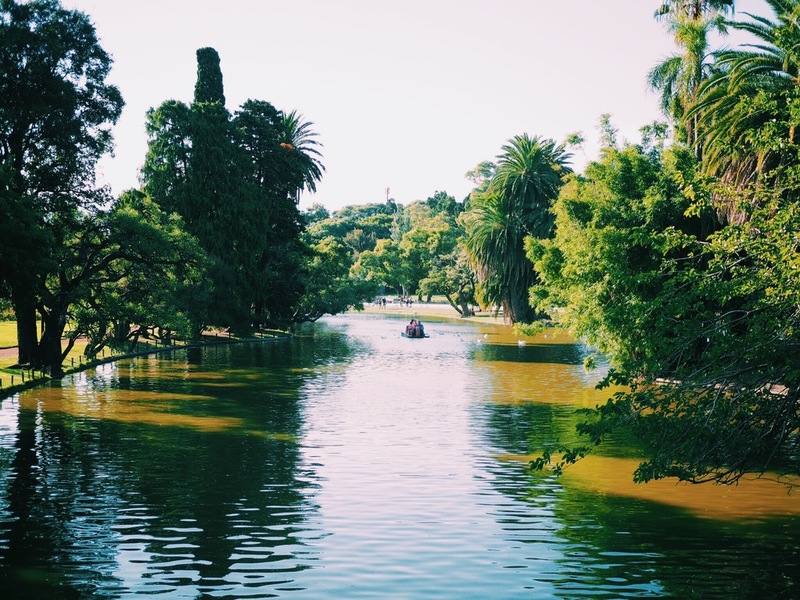 Palermo is known for being a stylish, trendy and upbeat area with world-renowned restaurants, lively nightlife and some beautifully well-kept parks in the north of the district. 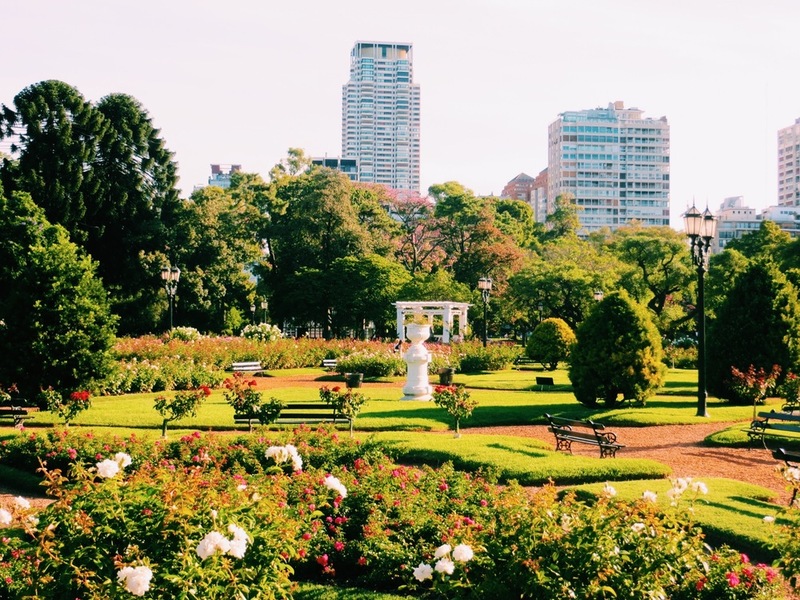 As the weather was good we decided to walk around the Largos de Palermo and Tres de Febereo Parks, which had tranquil lakes and a very impressive and picturesque rose garden. We also visited the Japanese Gardens, which was very therapeutic (although a little overpriced). Since arriving in South America we had wanted to improve our Spanish skills. After a recommendation from fellow travellers we decided to book ourselves in for private tutoring with a charming BA resident named Yanina. Neither of us had any prior Spanish-speaking knowledge so it was challenging, but great to have one-on-one lessons with our wonderful tutor. After the lesson we were offered some Mate (pronounced Mat-ay), a traditional bitter tea and important part of Argentinian culture. As Brits and big tea fans we appreciated the tips in Mate etiquette and were fascinated by the meticulous preparation! 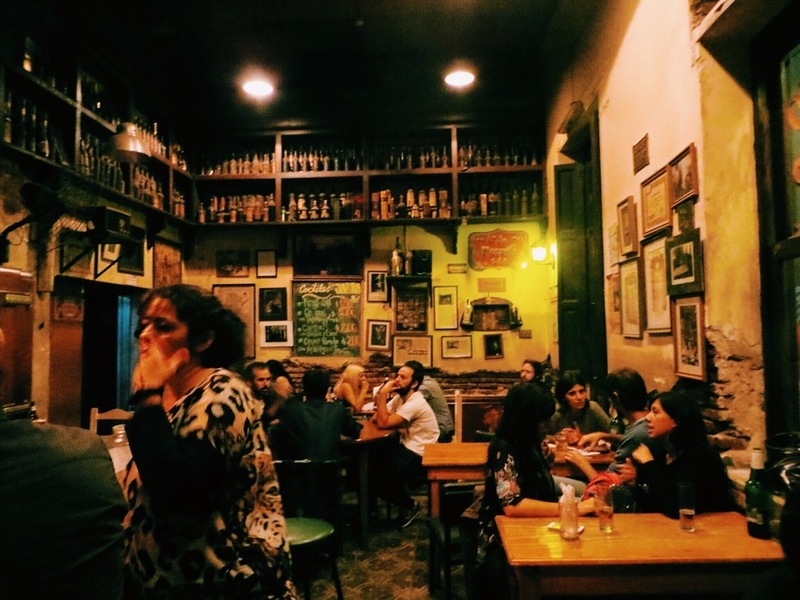 Our Spanish tutor had given us lots of good recommendations for authentic tango bars in Buenos Aires, so that evening we headed to El Boliche de Roberto, a cosy and traditional looking bar in the Almagro neighbourhood. We were a little surprised to discover it was a singing-only tango night, but we grabbed a table at the front, ordered a beer and waited for them to start. The duet were totally captivating from the moment they began, with beautifully harmonious tango ballads that the locals heartily sang along to. We sat and watched for a few hours, completely enthralled by the music. The following night we decided to try out Yanina's second recommendation: a 'tango disco' night at La Catedral, a club in the same neighbourhood of Almagro. Neither of us are natural dancers so we decided to take Tango lessons. The teachers initially seemed pretty unsympathetic to beginners, but after a few attempts we eventually got the steps right and had a fun hour circling the dance floor. Once our lesson ended we watched local couples dance well into the early hours. There was also a band that made an appearance, playing typical South American music with flutes, guitars and drums accompanied by traditional tap dancing. 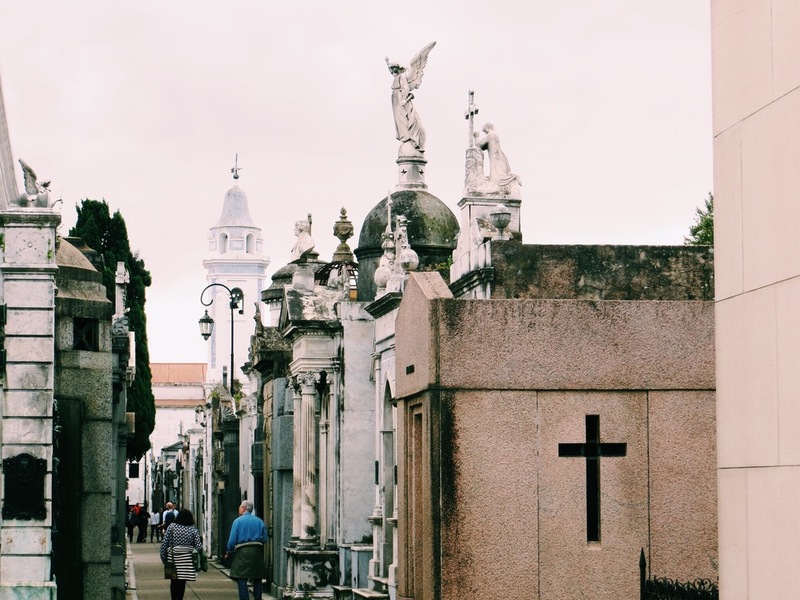 One of the main attractions in Buenos Aries is the famous Recoleta Cemetery, a town-sized graveyard filled with decadent graves dedicated to the rich, famous and elite Argentinians. 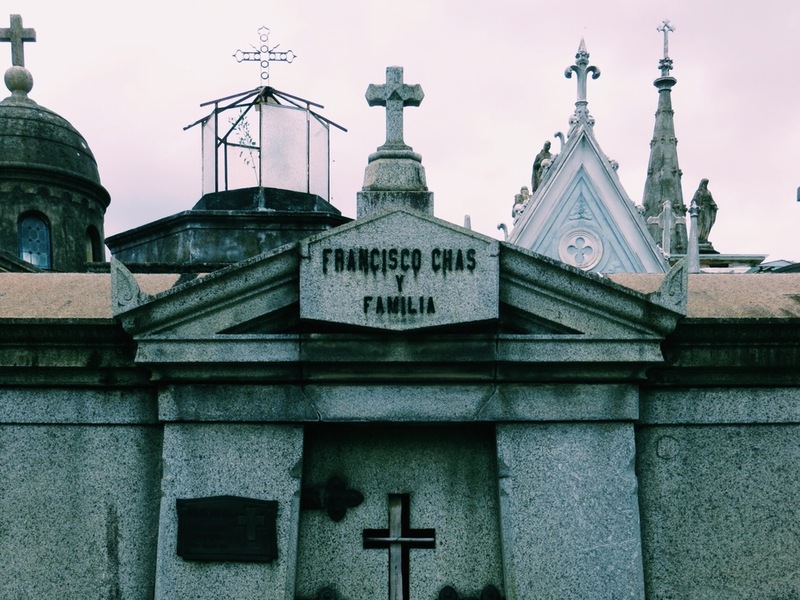 The extremely rich even had mausoleums built for themselves and their families, from small rooms to full-sized chapels where people could visit and pay respect. It was fascinating to see how much money and effort had gone into the resting places of the deceased. We spent a couple of hours walking up and down the narrow rows of the cemetery, peering into the creepy cobweb covered graves and tombs. As the weather was looking a bit grey on one of our days we decided to visit The Latin American Art Museum (MALBA) to get a taste of old and new artworks throughout South American history. 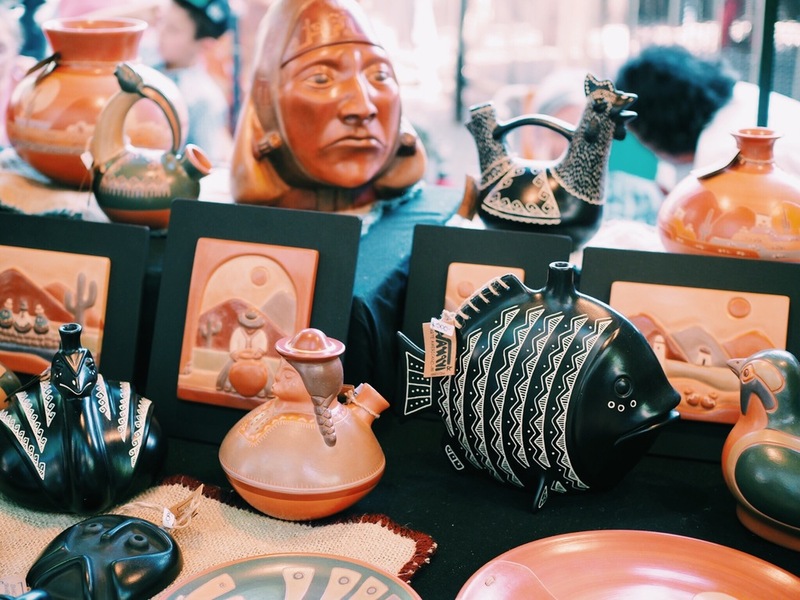 We really enjoyed all the exhibitions, ranging from Inca artefacts, European-influenced paintings depicting the simple life in the Andes to more weird and wonderful mechanical sculptures and abstract art. Our favourite exhibition was entitled 'Marcados' (Marked) by artist and photographer Claudia Andujar, a Polish Jew that had been liberated from Belson concentration camp as a young girl. She had embarked on a project later in life to help immunise the Yanomami tribe in the Amazon. The provocative and moving black and white portraits were taken once tribe members had been immunised and given a numbered badge, and questioned the ethics of being 'branded' for either life or death, drawing comparisons with Nazi concentration camp badges. 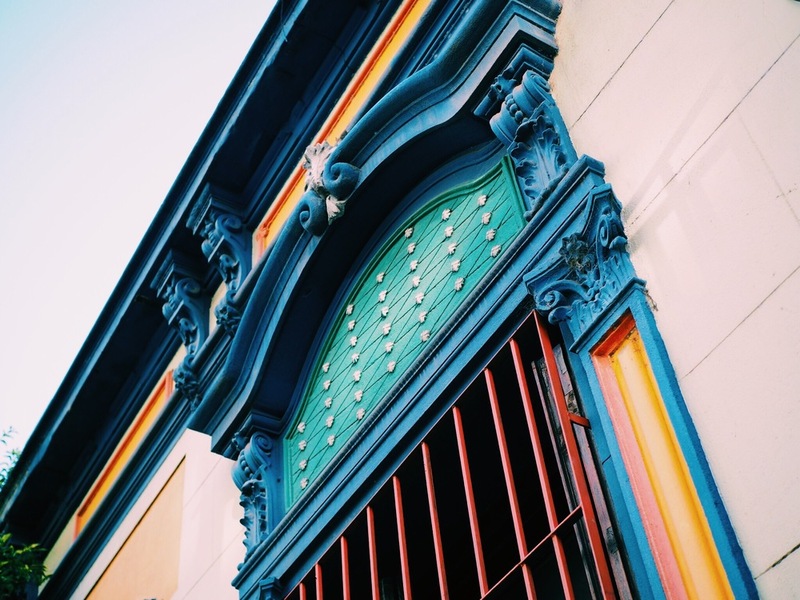 The bohemian barrio of San Telmo was next on our list, and we spent an afternoon wondering down the old colonial streets, peering into the many eclectic antique shops in the area. We had a quick coffee in Bar Plaza Dorrego, one of the oldest bars in San Telmo that overlooked the cobbled plaza. 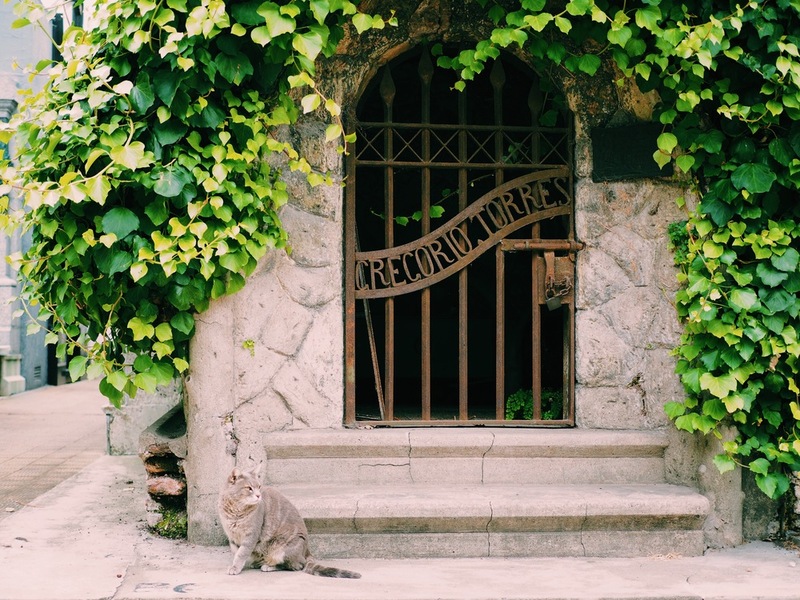 We then stumbled into Pasaje La Defensa, a restored two-story mansion tucked away from the main street with a beautiful tiled courtyard and terrace filled with small cafes, artist studios and antique shops. We spent an hour strolling around the the sun-filled space, taking photos and enjoying the peace away from the crowds. 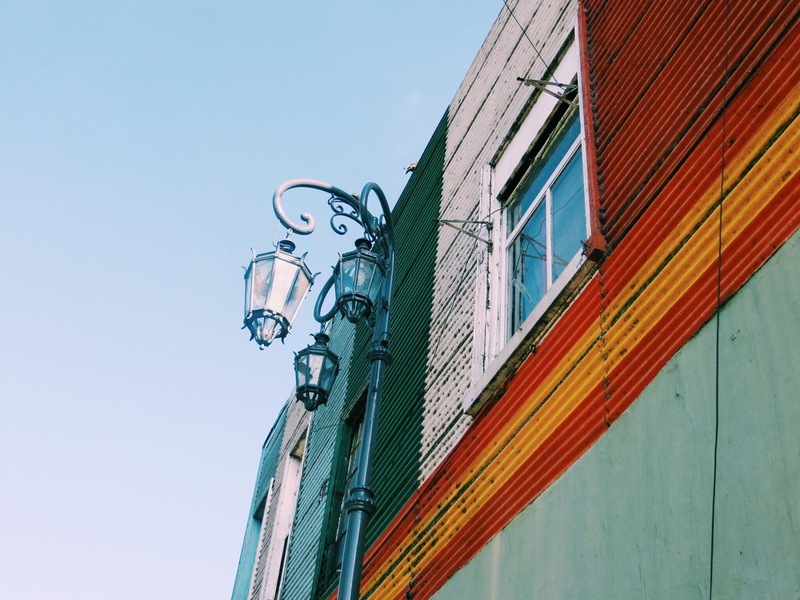 When researching things to do in Buenos Aires, images of La Boca always cropped up, so we were keen to visit the area despite reading that it had turned into a bit of a tourist trap. Although the shanty-town style buildings made from brightly coloured timber and corrugated iron were really eye-catching, the atmosphere was a little tacky. It was a shame to see that a once traditional part of the city had fallen to cheap souvenir shops and locals flogging photo opportunities, but was worth a visit non-the-less. After seeing the main streets we didn't hang around too long, so after taking a few snaps we decided to visit a gentrification project we had read about on Lanín Street. On arrival we were greeted with an amazing street lined with mosaic-tiled houses fronted with colourful yarn bombed trees. It was definitely the coolest street we'd seen in Buenos Aires. From Lanín Street we decided to walk 20 minutes to the nearest metro (Constitution), but as we made our way we definitely felt unsafe and were lucky to avoid trouble before we reached the station. We later found our walk in a map of areas to avoid (worth a look if you are visiting BA). 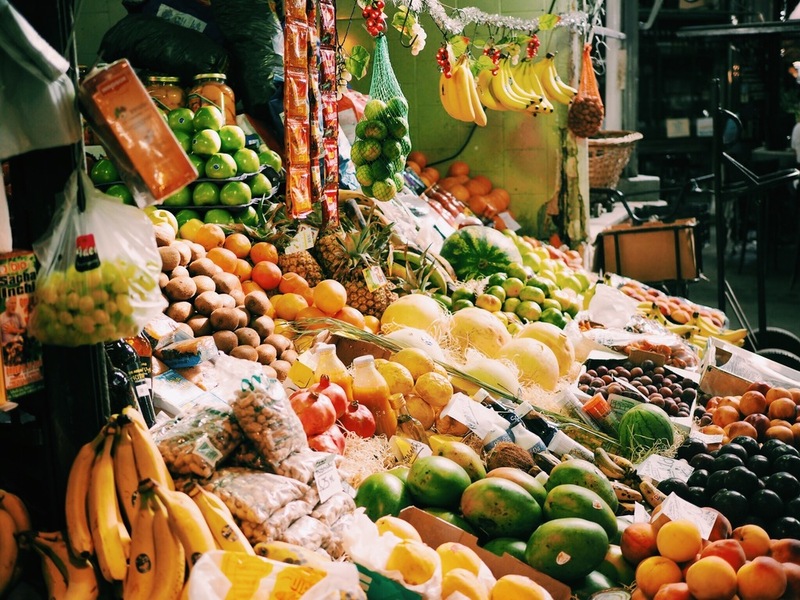 Another tip from our Spanish tutor was to visit Feria de Mataderos, a traditional Gaucho market about an hours bus ride from Palermo. After figuring out the bus system we jumped the 55 bus across town and arrived at the unofficial flea market not far from the beginning of the market. We wondered past the various stalls selling everything from delicious local delicacies to hand-made musical instruments and brightly coloured woollen blankets. Tigre is a small town an hours train ride north of Buenos Aires. It’s a popular escape from the bustle of the city, and we were recommended to go by our airBNB host. Unfortunately we’d timed it badly as we visited it on a Monday where pretty much everything was closed aside from a short boat tour showing life on the waterways. We managed to sneak into the museum grounds to get a few photos, but to be honest we left feeling a little disappointed with Tigre. We had been recommended to go to the popular drumming show by fellow travelers we'd met in Brazil. We had intended to go on the previous Monday, but as it was cancelled we had to wait a week. It was well worth the wait! 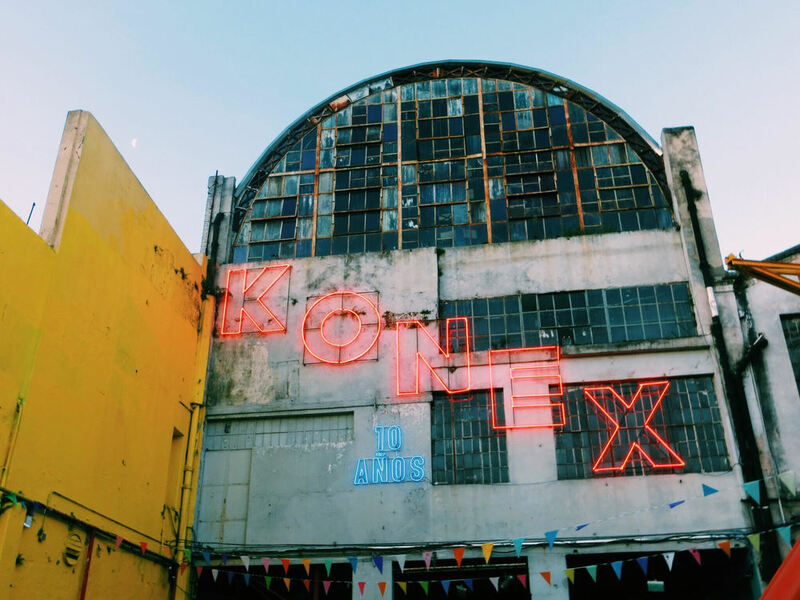 We made our way to the Ciudad Cultural Konex, an open-air music venue in Almagro, and by the time of the show was about to start an eager crowd had already filled the space. The drumming was sensational and the crowd, including ourselves, we're loving it. Once it finished we randomly bumped into two people we'd met on our travels, so we joined forces and set out for the after party. 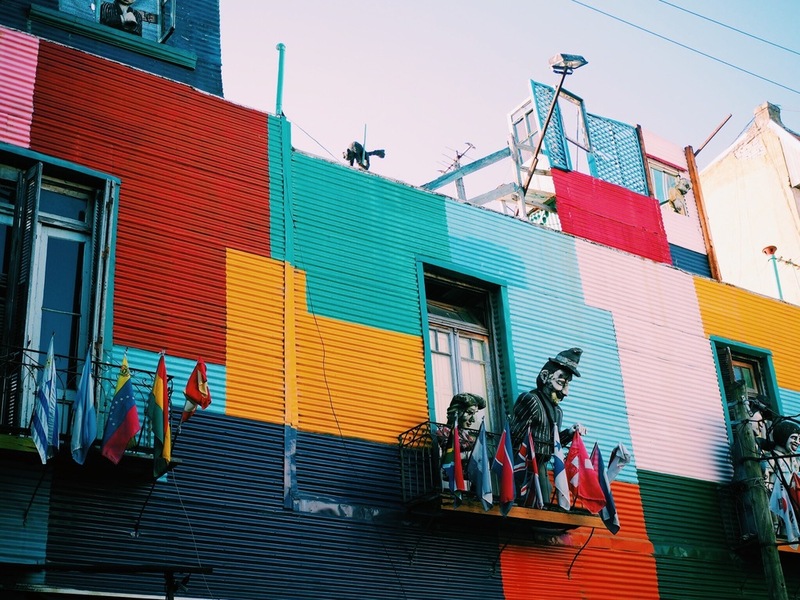 With its combination of European-esque style and it's Latin American soul we fell hard for Buenos Aries, and we couldn't have enjoyed our stay more. 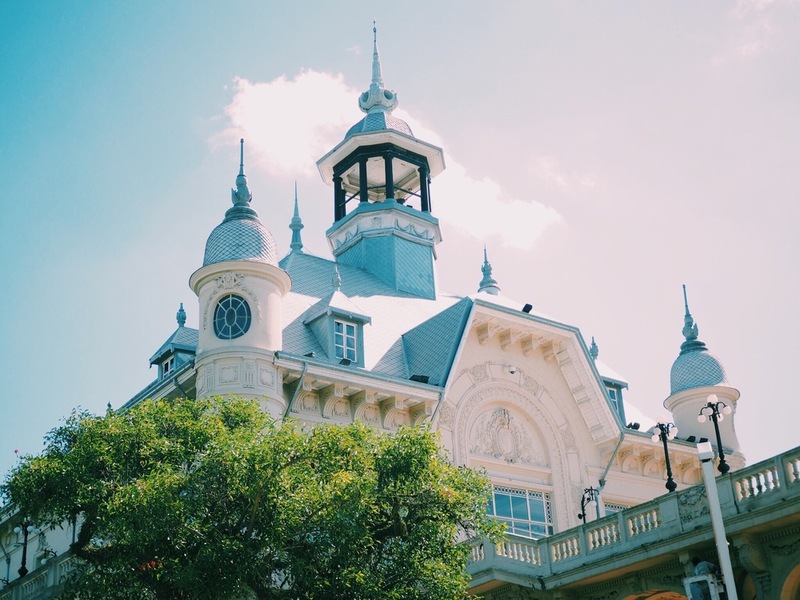 From elegant buildings and tango culture to amazing culinary delights and wild nightlife, we found BA to be a fascinating city of layers and surprises: for us it was the perfect introduction to Argentina.